Do you ever feel the urge to furtively look over your shoulder to check if someone's following you? Have you second-guessed a decision to walk in a poorly lit area late at night? When you see crime reports on the news, do you ever wonder if it could happen to you? Every day, unsuspecting people fall victim to muggers, pickpockets, carjackers, and other criminals. What can you do to make sure you're not one of them? Eckstine illustrates his points by referencing case studies and news clippings of real-life events. 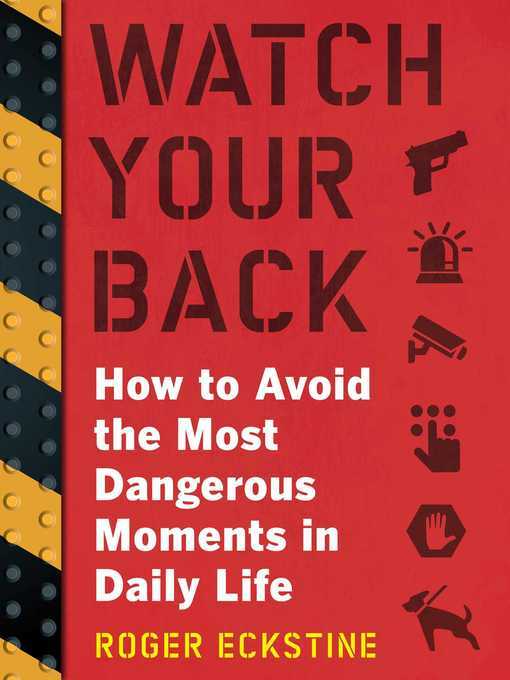 He describes various ways people can be prepared both mentally and physically for altercations, with an emphasis on training yourself to constantly observe your surroundings. Additionally, he suggests emergency devices, personal weaponry, and communication tools to help in dangerous situations. You and your loved ones deserve to feel safe all the time. Watch Your Back has the advice you need to make this happen.